Omar St - Caulfield South - A design & construct project of two high end freestanding houses. Hanover St Fitzroy - An extensive renovation and addition to an art deco terrace house with Steve Domoney Architecture. Hammond St Brighton - An internal renovation of a period family home with Branch Studio Architects. 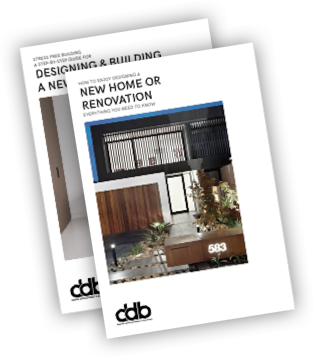 Howett Rd, Caulfield North - A DDB design construct project of a new contemporary family home. Simpson St, East Melbourne - Heritage Deco block of 6 studio apartments conversion into 5 x two bedroom apartments and a 3 bedroom penthouse by adding a 4 th level to this building and a large rear extension, carpark and landscaping. Powderham Rd, Caulfield north - A design and construct project done in collaboration with Davey Architecture Studio for a new 55 square family home.